Every day, organizations worldwide are engaged in a collective two steps forward, one step back march toward improved immigration services and policies. What hard-earned lessons are these nonprofits, and the foundations that support them, learning from their persistent efforts? This collection of evaluations, case studies, and lessons learned exposes and explores the nuances of effective collaboration, the value of coordinated messaging, the bedrock of ongoing advocacy efforts, and the vital importance of long-term and flexible funding. We encourage you to add to this collection and to share it on your own websites and blogs. In the last year, over 925,000 people applied for citizenship in the United States. For many, this was years after coming to this country in search of a better life, becoming an integral part of communities across the nation, learning English, working hard, and contributing to their families and the economy. The right to naturalize is a right as old as the nation itself and was envisioned by its founders, created by the Constitution, and codified by federal law. It has also long contributed to the diversity, richness, and strength of the nation. Unfortunately, since the Trump administration took control of U.S. Citizenship and Immigration Services (USCIS), the federal agency that processes citizenship applications, the backlog of pending naturalization applications has skyrocketed to 729,400, with processing rates reaching as high as 20 months. The newest data from USCIS represents an 87.59% increase above the backlog of 388,832 applications, on December 31, 2015, during the administration of President Obama. This backlog serves as a "second wall" that prevents eligible lawful permanent residents from becoming citizens and voters. NPNA is demanding that USCIS takes aggressive steps to reduce the backlog of citizenship applications and reduce the waiting time for applicants down to six months. 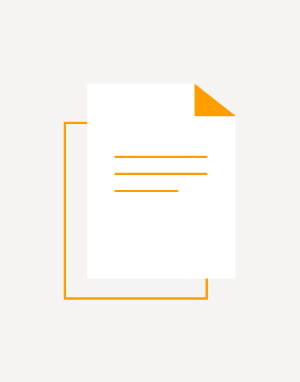 This study presents findings based on ICE's data from the federal government's Optional Practical Training program. Between 2004 and 2016, nearly 1.5 million foreign graduates of U.S. colleges and universities obtained authorization to remain and work in the U.S. through this program. The data shows a 400% increase in foreign students graduating and working in STEM fields from 2008 to 2016. This report separates immigrant political and policy opinions by citizenship status. 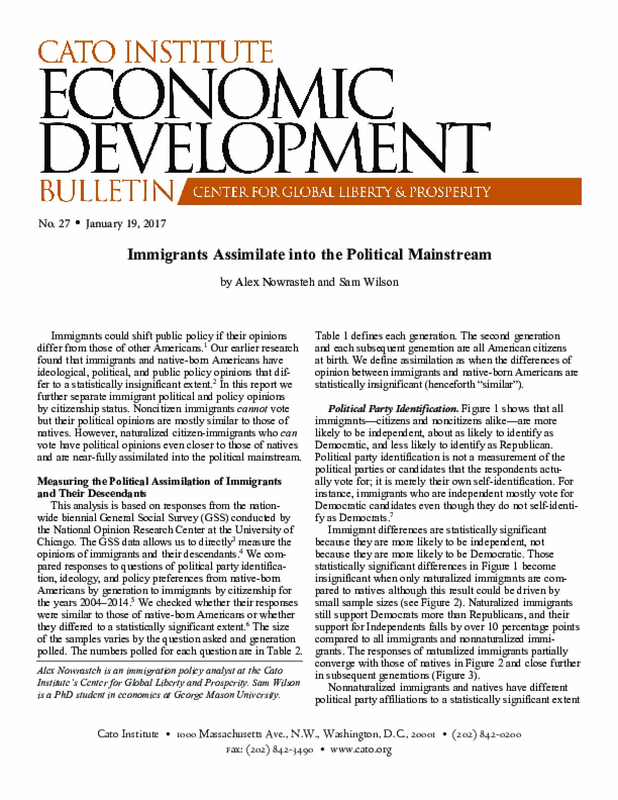 Noncitizen immigrants cannot vote but their political opinions are mostly similar to those of natives. However, naturalized citizen-immigrants who can vote have political opinions even closer to those of natives and are near-fully assimilated into the political mainstream. 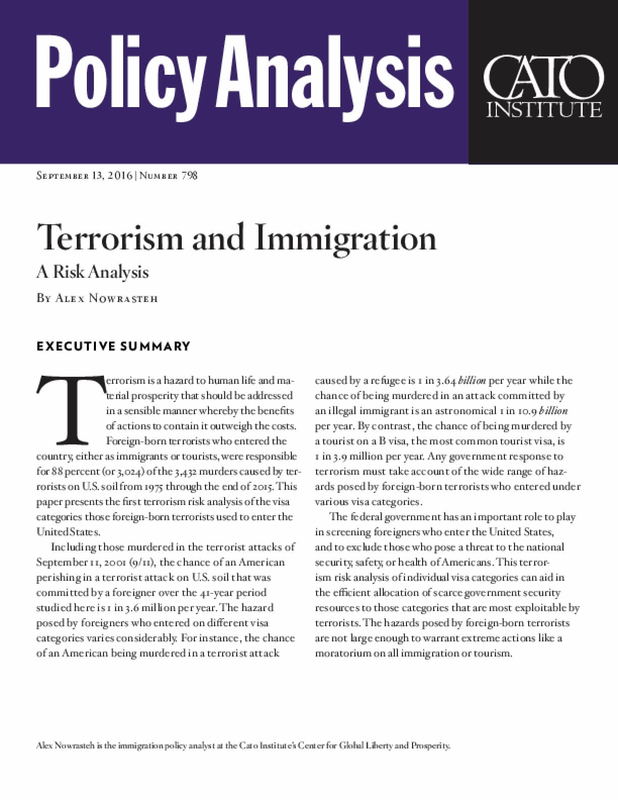 This report attempts to analyze the likelihood of an American perishing in a terrorist attack on U.S. soil committed by a variety of foreign-born classifications (tourist, refugee, illegal immigrant, etc.). 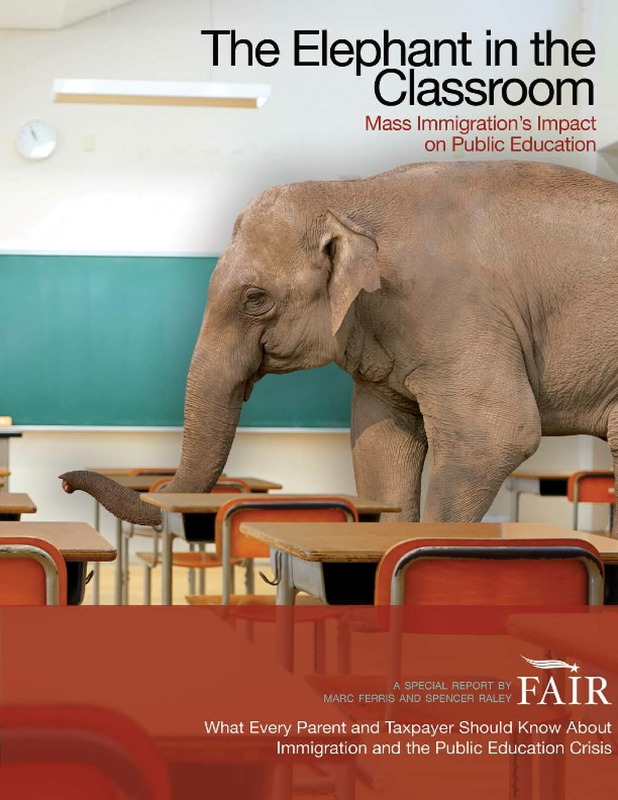 This report attempts to estimate the costs of the public education of undocumented immigrants to state and federal education systems, based on data from 2015 and 2016. 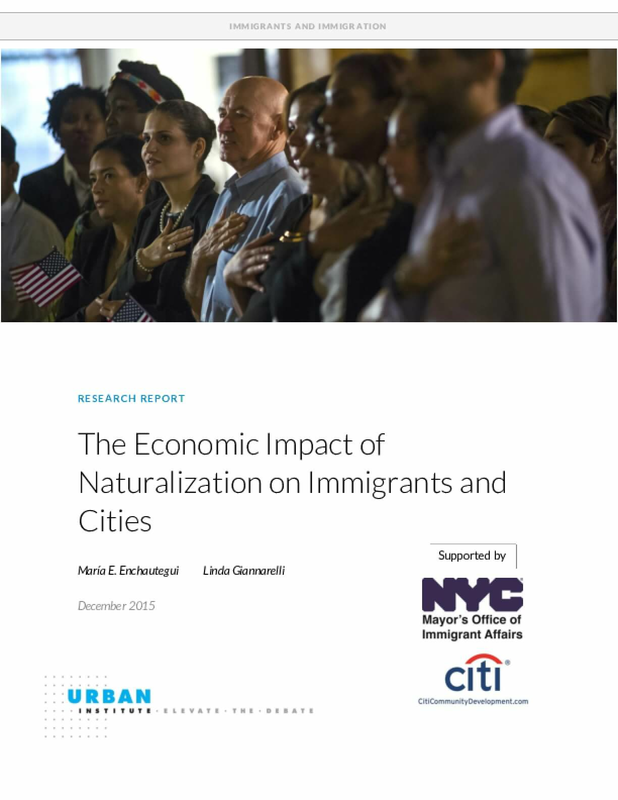 Using American Community Survey data for 21 cities, we find that if the immigrants who are eligible for naturalization became citizens, their earnings would increase 8.9 percent, and combined earnings for the 21 cities would increase $5.7 billion. Federal, state, and city tax revenue would increase $2.0 billion. Expenditures in government benefits would decline $34 million in New York City and increase $4 million in San Francisco. With an additional $789 million in taxes for New York City and $90 million for San Francisco, the net fiscal impact of naturalization on these two cities is overwhelmingly positive. 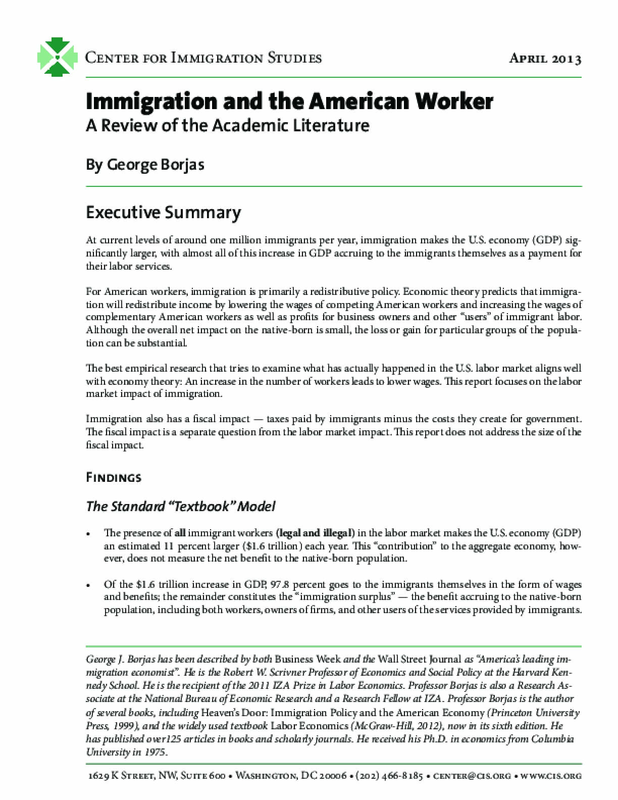 This report presents a comprehensive summary and analysis of recent literature on the impact of immigration levels on the US economy and labor market. 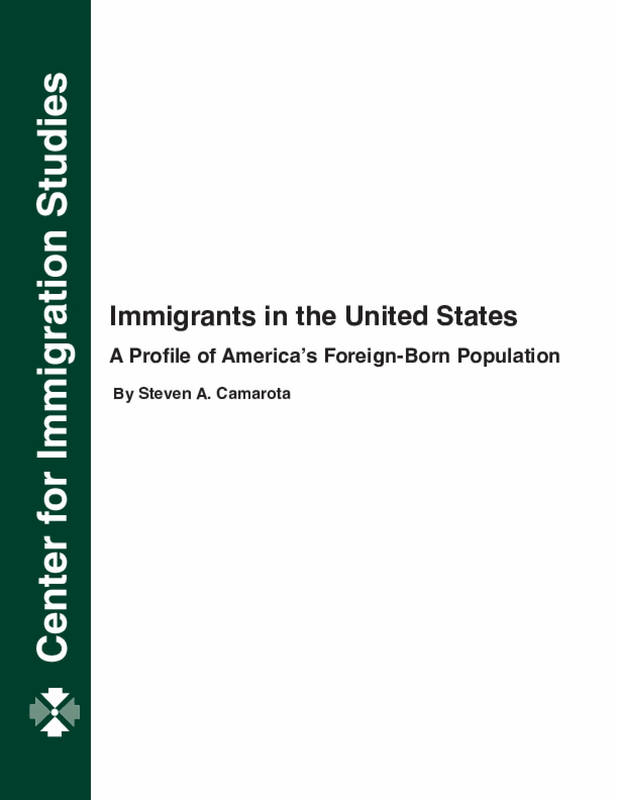 In this detailed policy report, Steven Camarota looks at the latest Census Bureau data from 2010 and 2011 to provide a history and a picture of the more than 50 million immigrants (legal and illegal) and their U.S.-born children (under 18) in the United States by country of birth, state, and legal status.